At Lose Baby Weight we believe that breastfeeding and weight loss can go hand in hand which is why we have created the 28 Day Breastfeeding Friendly Diet & Exercise Plan and have ensured that our weight loss plans are safe for breastfeeding mums. More and more mums are breastfeeding their babies for longer these days but mums still want to lose their baby weight whilst breastfeeding and there is much confusion about what mums should or shouldn’t do while combining breastfeeding and weight loss. 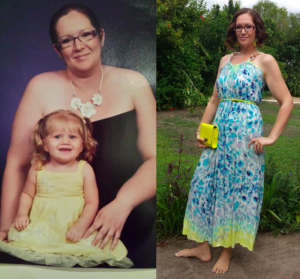 Everyone has a different relationship with their body and with their own fitness and weight loss – and this becomes even more apparent after we have had children. 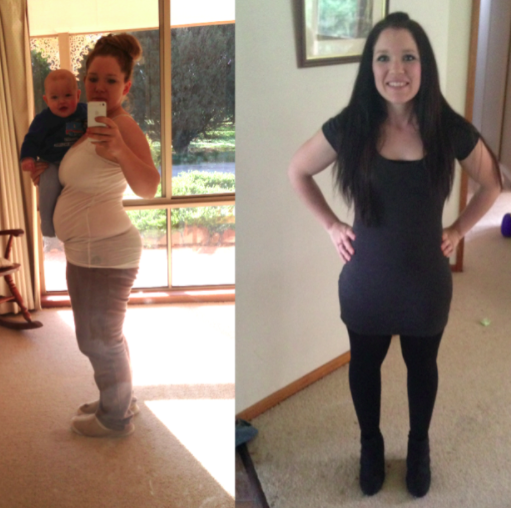 Some mums choose to lose the weight straight away and many others don’t even think about losing weight for a year or two later (or more). There is no right or wrong time to start thinking about pregnancy weight loss – unless you have a medical problem where weight loss is essential. But instead no one should ever feel pressured to lose weight and you should only do it when you feel 100% emotionally and physically ready to do so. But if you are breastfeeding and do want to start a losing pregnancy weight, the good news is that it is possible to lose weight when breastfeeding providing you follow a breastfeeding safe diet. This means following a diet plan that is based on healthy eating principles and light exercise and is free from caffeine and any weight loss accelerants. It is important not to follow any extreme diets which advise cutting out food groups or eating too much of one group – for example a diet that tells you to only eat protein each time you eat. At Lose Baby Weight, we ensured that all our pregnancy weight loss plans are based on getting optimal nutrition into your body and being in the best health possible. Our plans help to nourish your body and ensure you lose weight in a safe and healthy way. So the good news is that if you are breastfeeding, you can still follow our weight loss plans – the key is to increase your calorie allowance on our plans by approximately 500 calories to give your body the extra calories it needs to produce milk. And as knowledge is power, we have given you some key information to arm yourself with so that you can lose weight with confidence when still feeding your baby. Breastfeeding burns up a lot of energy (calories/kilojoules) to make breastmilk, particularly for mothers who are exclusively breastfeeding. These mothers should include 2-3 extra snacks per day (approximately 500 calories). Iodine Since breastmilk needs to contain an adequate iodine content to support your infant’s growing brain, a new mother’s iodine requirements are almost double the normal. It is possible to meet these iodine requirements with food, although an iodine-containing supplement is usually recommended. It’s important to speak to your doctor before taking any supplements. Good sources of iodine include bread, iodised salt, seafood, eggs and dairy. Zinc is essential for skin health, immune function and optimal reproductive health. 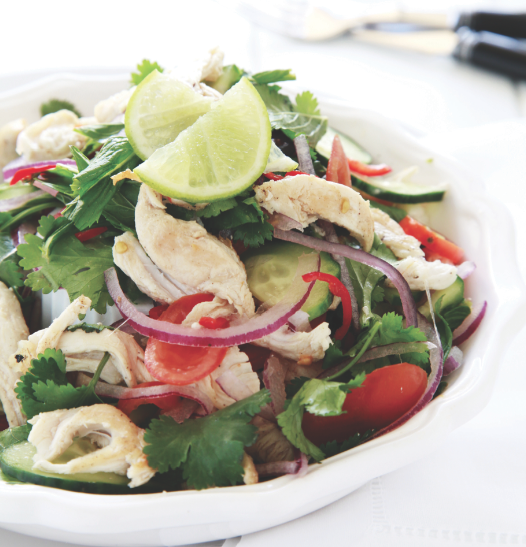 Good sources of zinc include meats, breakfast cereals, brightly coloured vegetables and fruit. Water is the best way to quench your thirst without getting the added sugar and kilojoules found in sweetened drinks, such as fruit juices, soft drinks, sports drinks and flavoured mineral waters. Although it doesn’t increase milk production, it’s still important to keep hydrated; a good guide is to drink a glass at each meal and again with each breastfeed. Alcohol is best avoided for at least 4-6 weeks after birth. It takes most women about two hours to clear the alcohol from the blood and their breastmilk, so plan the occasional drink with this in mind. Caffeine in coffee and tea can be enjoyed in moderation – no more than 200mg a day (two cups of coffee). More than anything it is important to eat a balanced diet when breast feeding and if you are trying to lose your baby weight, do so in a safe way and aim for approximately 500g-1kg per week. When it comes to your milk supply, it’s not so much weight loss that’s the issue, more so the way you choose to lose weight. Dramatically reducing calories, restricting certain food groups or engaging in high intensity exercise can all play a role in reducing your supply. On the other hand, undertaking a healthy eating plan that focuses on providing your body (and baby) with all the nutrients you need, may actually help support your supply, especially if you’ve struggled to eat properly in the past. 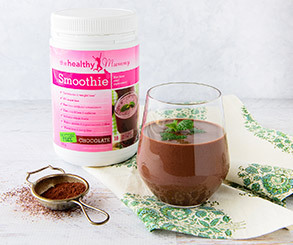 A Healthy Mummy smoothie is a great option as it contains all the essential elements of a nutritious meal, along with ingredients like fenugreek and flaxseed that can help support your supply. 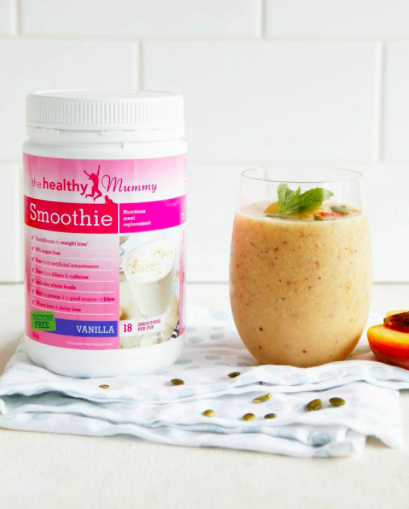 A smoothie for breakfast and/or lunch is a quick and easy way to ensure you’re eating well, even when you’re pushed for time – and we suggest snacking in between meals too. Today many people have allergies to dairy and wheat so our smoothie is free of both of these. We use non genetically modified Soy Protein Isolate which uses only the protein part of the soy – not the oestrogen part of the soy. We do not use any artificial sweeteners in our smoothies and use a small amount of thaumatin (natural plant based sweetener) sweeten the smoothies and they are 96% sugar free. If mums are breastfeeding with weight loss aspirations, then they can still have a ravenous appetite, so focusing on a calorie-controlled breastfeeding and weight loss diet plan can be very challenging. When breastfeeding, mum’s need to intake approximately 500 calories extra for their own health and nutrition as well as that of their baby – but the good news is that breastfeeding and weight loss can go hand in hand as mum’s will also burn approximately 500 calories per day. Mum’s often want to lose their baby weight immediately after birth and will do anything they can to lose the weight quickly – however a point that needs to be noted is that toxins are stored in our fat cells so if the weight is lost too quickly then those toxins are released into the body and can pass through the milk to the baby. So the message is to aim for slow and steady weight loss (500g – 1kg a week) so there is no dramatic release of the toxins and so you and your baby stay healthy. Mums who wish to combine breastfeeding and weight loss also need to be cautious about supplements on the market to aid weight loss as there are some programs that contain products that could make your baby sick when passed through the milk to them such as phentermine, aloe vera, caffeine, kelp, high doses of chromium and phenylpropanolamine (an ingredient in dexatrim and acutrim). Also, many weight loss supplements also contain ephedrine which is a substance that increases metabolic rate and has been associated with severe increase in blood pressure, palpitations, heart arrhythmias, and seizures – not a good option for you when you are breastfeeding. So what is our philosophy on breastfeeding and weight loss ? We believe that it is important to lose the baby weight through safe and healthy methods and by taking a multi-layered approach towards breastfeeding and weight loss, which when followed correctly will help you shed the weight. The multi-layered approach towards breastfeeding and weight loss includes a focus on the health and nutrition on the mum’s diet, as without consuming the right nutrients and achieving optimum cellular nutrition then the body cannot function correctly which becomes a barrier to weight loss and in turn has a big impact on the mum’s energy levels; as well as mild exercise, motivation and support. 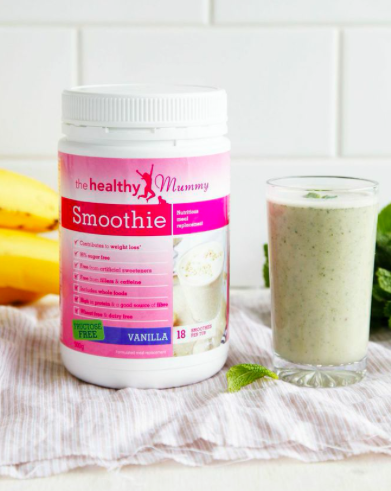 Through our unique breastfeeding weight loss programs and our Healthy Mummy smoothie range we also aim for a maximum weight loss of 500g – 1kg per week which varies according to the metabolism of each mum. We are big believers of a slow and steady weight loss while breastfeeding. 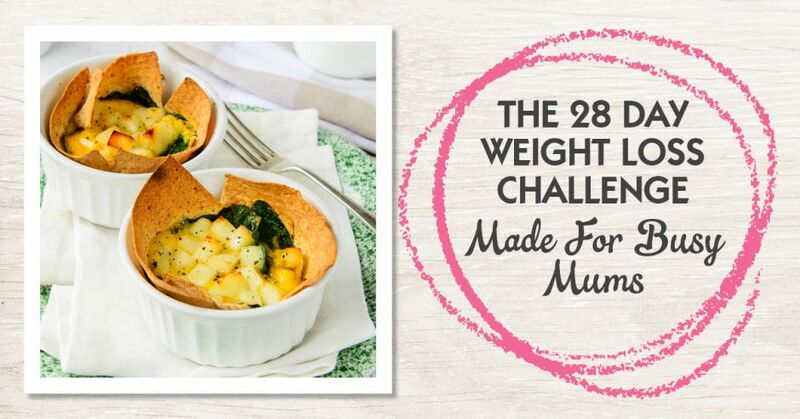 We have so many healthy meal ideas in our 28 Day Weight Loss Challenge. 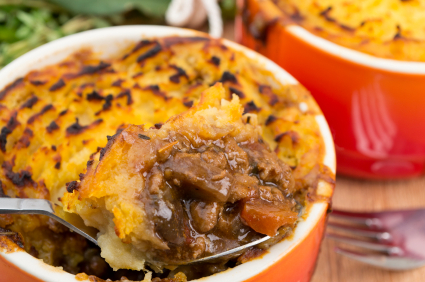 There is no excuse for getting stuck in a food rut! And when introducing any new food into your diet, we advise being alert to any food sensitivity in your baby such as a change in bowel movements and discontinuing any new diet plan if any food sensitivity occurs.